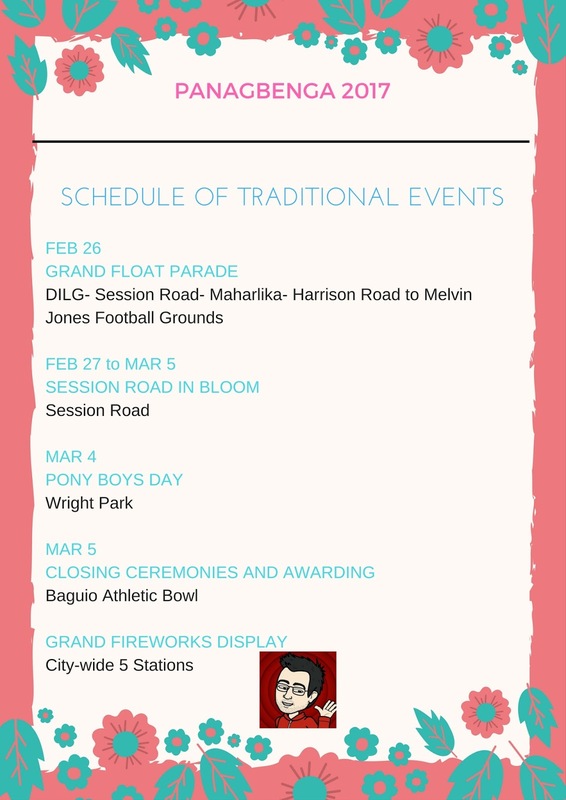 To celebrate the season of blooming, the Summer Capital of the Philippines, Baguio, holds the annual Panagbenga Festival. 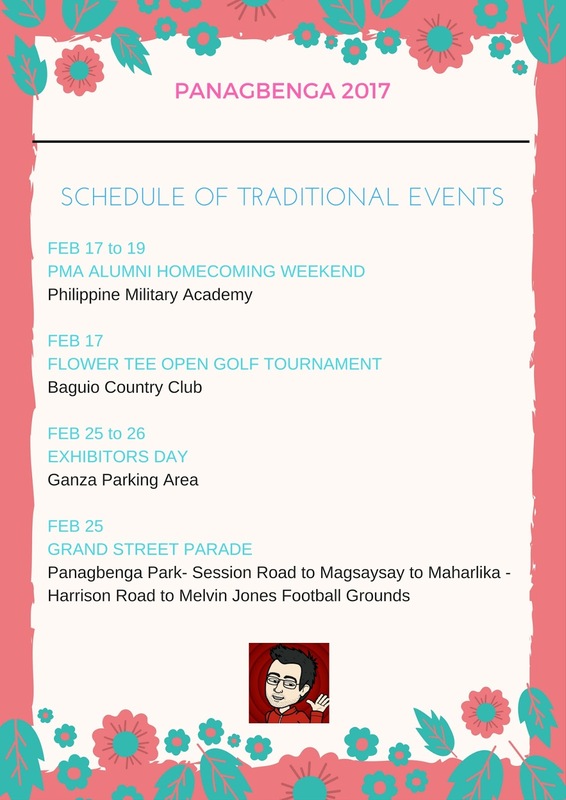 It is one of the highly anticipated festivals in the country. This year's theme is 'Inspired by Beauty, Nurtured by Nature'. 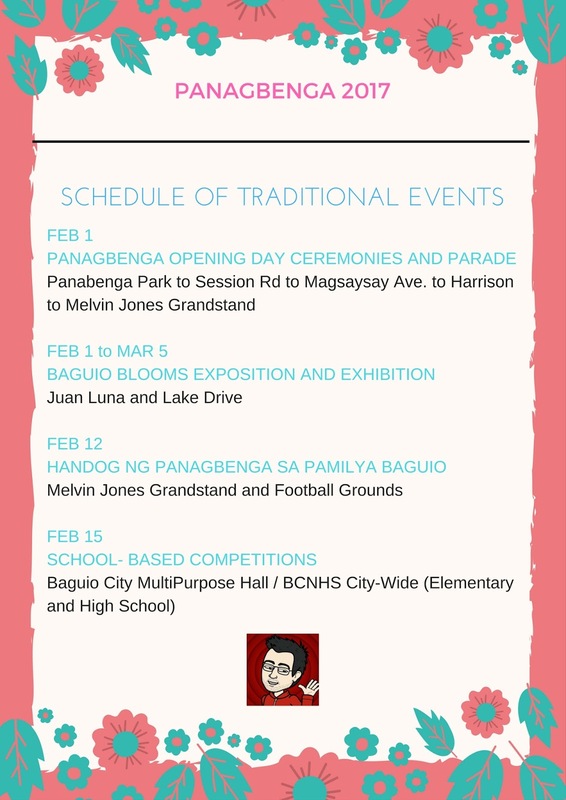 The City Government of Baguio together with the Baguio Flower Festival Foundation Inc have prepared an exciting line up of schedule. Several bus lines traverse Metro Manila to Baguio. Victory Liner and Dagupan Bus have hourly service to Baguio. Travel time is between 4-6 hours. Fare is around P450+ . 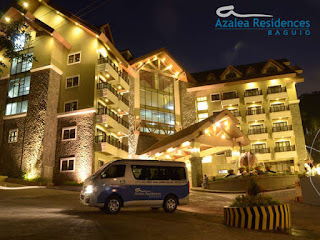 Deluxe bus is around P750. 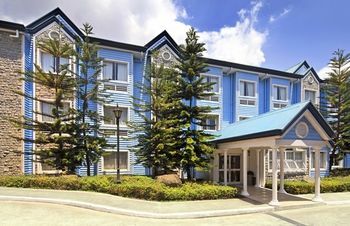 There are many things to do in Baguio. 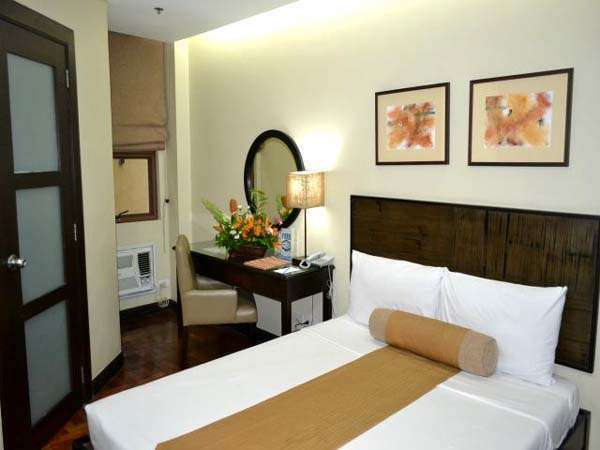 For first timers, a visit to the iconic places like Camp John Hay, Wright Park, The Mansion, Burnham Park and Mines View Park are a must. Enjoy bibingka and suman sa lihia at Choco-late de Batirol along Camp John Hay. Pick strawberries at the Strawberry Farm in Benguet. Splurge on a shopping spree at the night market along Session Road. For culture and art lovers, a visit to the BenCab museum, Tam-awan Village and Ifugao Carver's Village is a must. Buy Ube at Good Shepherd Convent; walis tambo, strawberry jam, veggies at ultra low price and other souvenir items at the market. Have some moment of silence at the Our Lady of Atonement Cathedral and Our Lady of Lourdes Grotto. 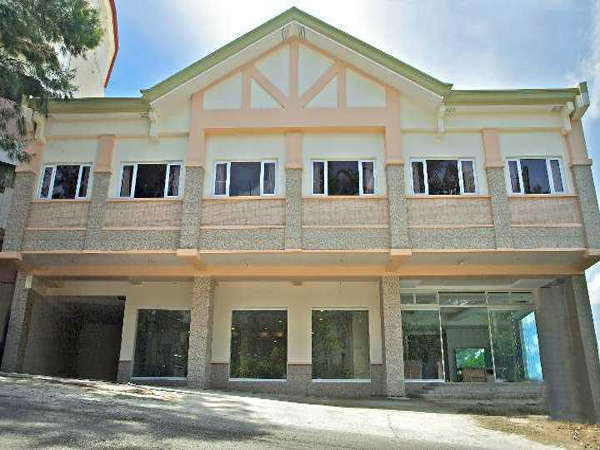 Go ghost hunting at Teacher's Camp and Laperal House. If you have more time, trek Mt. Ulap or Mt. Jumbo. Night life in Baguio is an abundance too. Or just wander, explore, let your feet take you anywhere and who knows, you might stumble upon a new love. 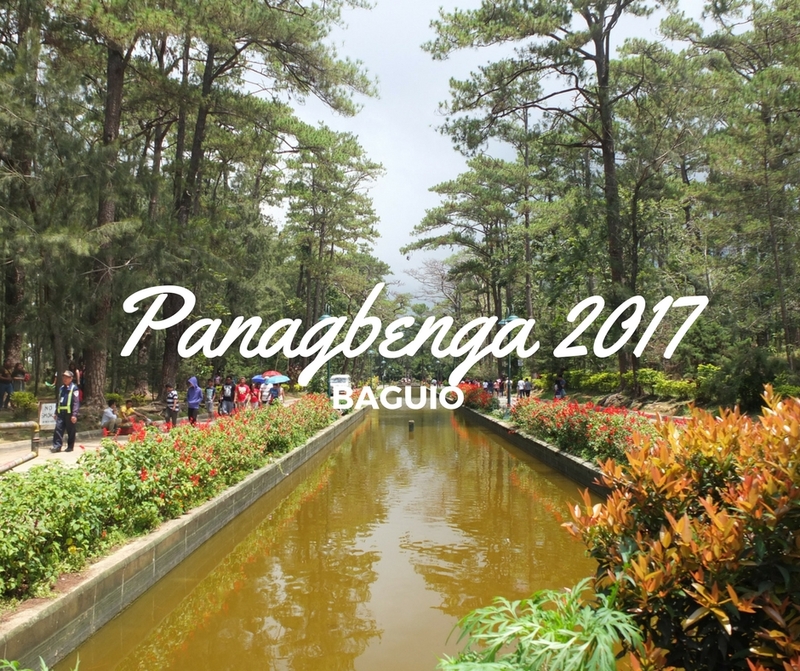 You'll never ran out of things to do in Baguio! Visitors both local and foreign flock Baguio during the Panagbenga Festival. If you're planning to join the merry festivities, be sure you book your accommodation in advance. Here are some of my recommendations. Please click name of hotel to check (and book). Or click here for more hotel and transient house! Baguio will always be one of my more favorite places. I've always been in love with its cold weather- that romantic feel. the scent of pine trees and the abundance of flowers all a-bloom! 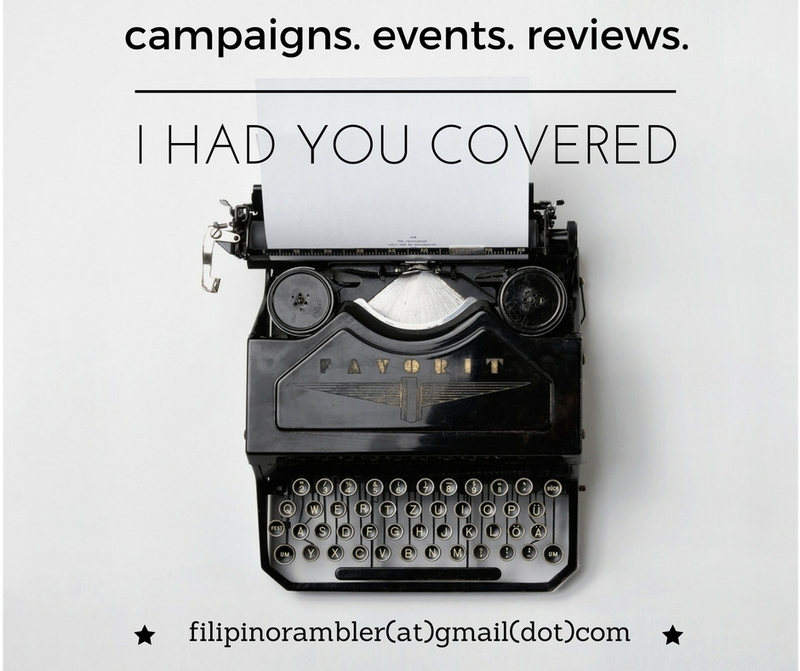 How about you, what do you love about Baguio?